Get ready for an over-the-top underground adventure! At Vacation Bible School, kids will explore the rock-solid foundation of Jesus’ love. They will embark on an adventure filled with incredible Bible-learning experiences. Kids will participate in singing catchy songs, playing team-building games, and enjoy tasty treats that help faith flow into real life. Plus, they will learn to look for evidence of God in everyday life–through something called God Sightings! Kids attending VBS will join a community service project called Rock House Kids. Founded in 1999, Rock House Kids is a 501 (C) 3 organization that seeks to feed at risk children physically, spiritually and emotionally. It is an outreach that cares for at-risk children in Rockford’s inner city. There is a growing number of at-risk children from ages 6 to 18 who are in need of a safe, warm, nurturing environment. We are asking that each grade level and family participate as much as they can. 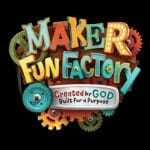 VBS is for kids with PRIOR Preschool experience, Age 3 to children who completed 5th grade during the past school year and will run from 9:00AM to Noon each day. For more information, call the RE office at 847-658-9339.